Hi girlies, today's post is very exciting for me as this is my first blogger award in which I have been nominated by one of the awesome bloggers. 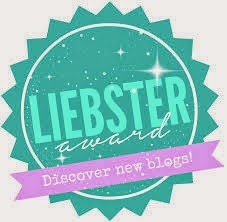 It is the LIEBSTER AWARD and it's getting popular day by day among all the beautiful bloggers/ youtubers and Vloggers. And of course let the nominees know you have nominated them so that they can proceed! It is like a chain letter award nomination! In my comment section also add your link again to the post with the questions, so I can read your answers thus, creating that fun chain of awareness. 1. What made you get into blogging, youtube, vlogging? I started with blogging and youtube only to have some fun but slowly and steadily, it just became my passion and love. I love sharing my love for nail art, makeup and fashion with the world through my blog and youtube channel. 2. What are 1 of your best qualities you feel everyone should have and why? According to me the best quality I have is my nature of helping others. I'd love if everyone could have this quality. This is because at least they will further love to help others as much as I do. Ice creams!!!!!!!!!!!! I always scream for Ice creams, no matter what flavor it is. I love love ice creams! 4. What is your blog, vlog, or youtube channel about? I have a blog where I share nail art tutorials, makeup tutorials, product reviews, website reviews, Outfit of the day posts, Face of the day posts, fashion and sharing my experiences. I also have a Youtube channel where I share my love for nail art and makeup. Also it includes Vlogs, some tips for nails, etc. You'll just be entertained in my creative world. 5. Why did you pic that topic for your blog, youtube, or blog? Because I love experimenting with arts and what's better than to pick such topics like nail art and makeup and fashion. Also I love sharing my passion with the world, so I picked such topics. I think only being active on your social networks help people to notice you. And it is very much important to be on every possible social networking sites like facebook, instagram, twitter, youtube, etc. And try posting something or the other things each day also helps a lot. 7. What topics do you feel more bloggers, vloggers, or youtubbers should do or wish people would speak more of? 8. What is your favorite thing to do when you have spare time? I have passion for singing as well, so I do record songs and read novels. My favorite hair style is a simple but elegant crown. For art type, I'd say music, novels, writing short romantic stories and poetry, cooking, coloring. Fashion style according to me is being comfortable. 10. Do you feel the Liebster Awards will do what its called to do and if not, what are some things that could be implemented to help? When it's a chain, it will surely do as it claims to do. I don't have negative thoughts about it. FURTHER, I'M NOMINATING THE FOLLOWING BLOGGERS/ YOUTUBERS TO TAKE PART: The names written below will take you directly to their link. What inspired you to start blogging/ youtubing? A makeup product without which you can’t live? Any 1 secret that you would like to share with your readers/ viewers? What are the 2 simple tips you experienced to be a successful blogger/ youtuber? Explain your beautiful blogging/ youtubing journey in 3 sentences. Who is your favourite Bollywood/ Hollywood personality when it comes to makeup? 5 minutes makeup tutorial according to you, tell your readers/ viewers some of your tips for the same? What is more tempting according to you, chocolate or ice cream? Is it important to get in touch with your readers/ viewers? If yes, why? What is Liebster Award according to you? Thank You all for participating and also allowing me to be apart of this experience. Thank you for stopping by. Lots of love. Loved your blog and many congrats on your award. Would you like to follow each other on G+/GFC/Bloglovin? 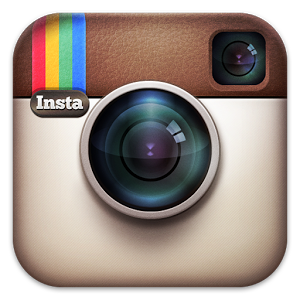 Please do leave me a comment and I'll follow back. thanks a lot dear.. would love to follow u.. ty for stopping by..! !